had to tow to carry his dialysis equipment - he was not a well man even then, but you would never know that when talking to him. If you have a nice photo of Pete please forward it to Rick. The 2 photos below were supplied by David Pearce and show Pete at Mirrool on the way to the Toowoomba Concours. As David indicates below - it was a round trip of over 4000 km with trailer full of his dialysis gear ... what a hero! Pete at the Toowoomba Concours. 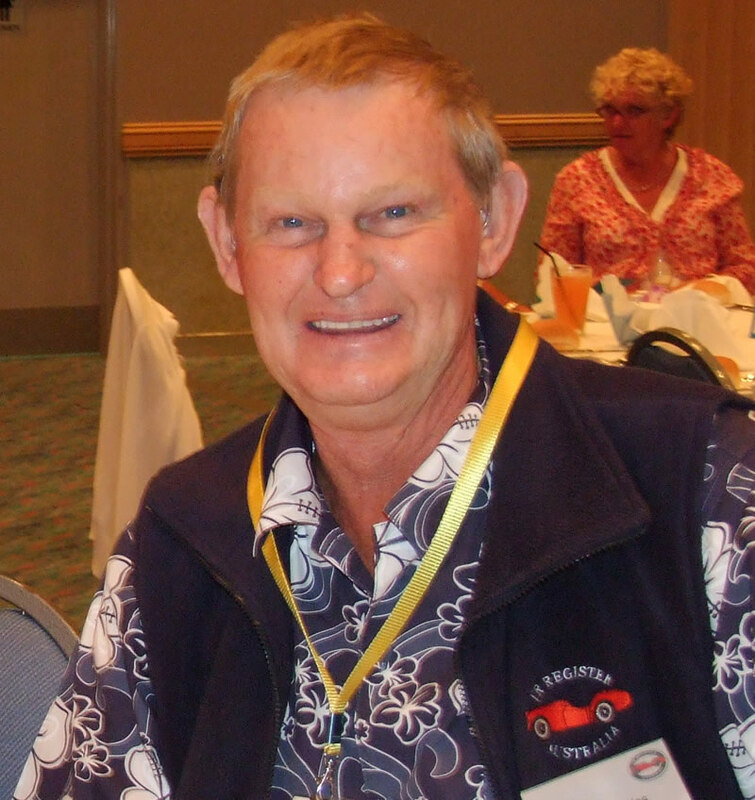 Tasmanian members have been saddened at the news of the passing of their friend and fellow Register member Peter Cousins at his Mount Stuart home on the morning of Thursday 9th January 2014. 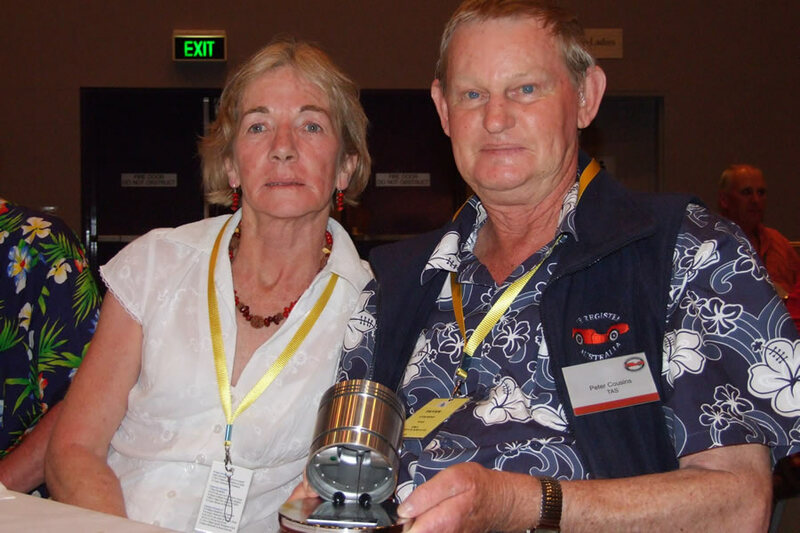 Pete was a long time member of the TR Register and with Mary had attended Concours in Canberra, Swan Hill, Brisbane, Port Macquarie and Toowoomba. 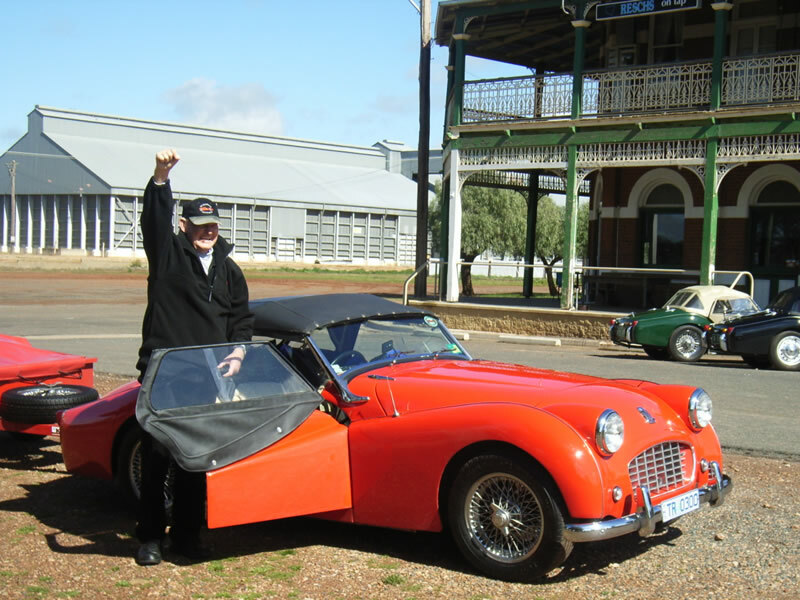 Pete had owned his red TR3 since February 1966 or a month shy of 48 years. Indicative of his longevity of ownership was his pride in recounting how he paid for it in pounds, shillings and pence, £465 to be exact. Between 2003 and 2006 he treated his TR3 to a 3 year restoration which resulted in a much admired car and which was sought after for a number of car shows and displays. 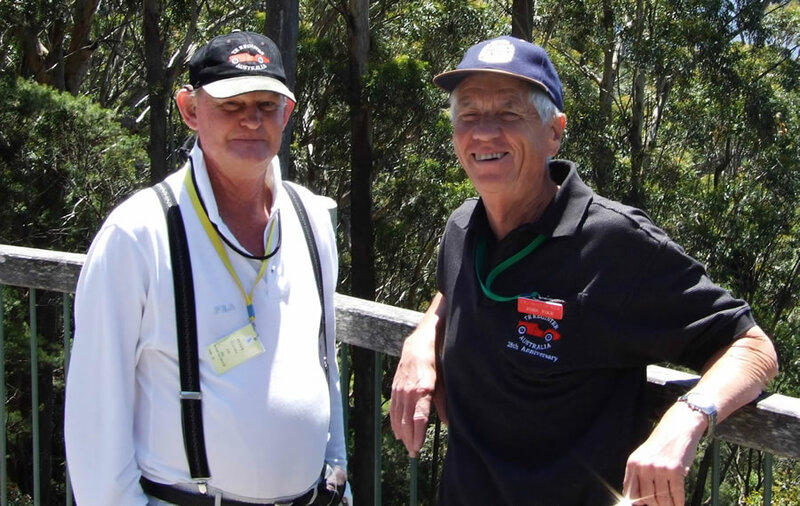 He was also a member of a number of other car clubs including the MG Car Club of Tasmania, Post Vintage Car Club and Triumph Owners Tasmania. In 1968 he won the MGCC Club Championship up against Swallow Doretti, TR4s and various MGs. It was something that he enjoyed reminding the MG fraternity of from time to time. Pete did not enjoy the best of health for many years being diagnosed with diabetes in his earlier adult years. The ensuing years saw the complications that can arise eventually did. 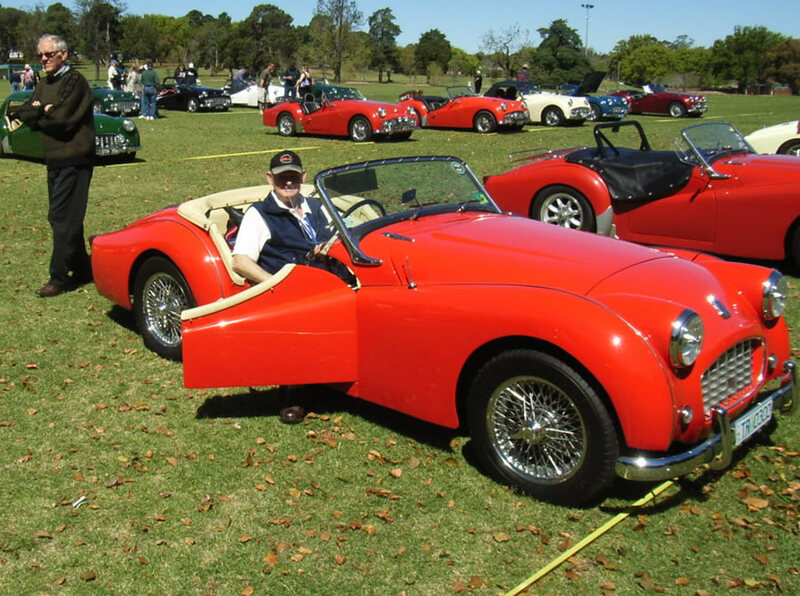 By the time the Port Macquarie concours was mooted and his TR3 restoration was completed Pete was requiring regular dialysis. 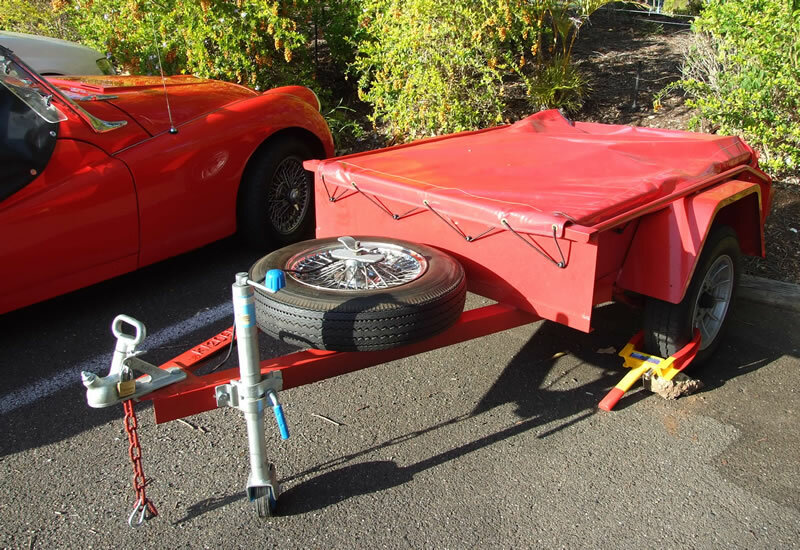 Such was Pete’s determination to get to Port Macquarie that he had a trailer built to carry his portable dialysis unit and the fluids. 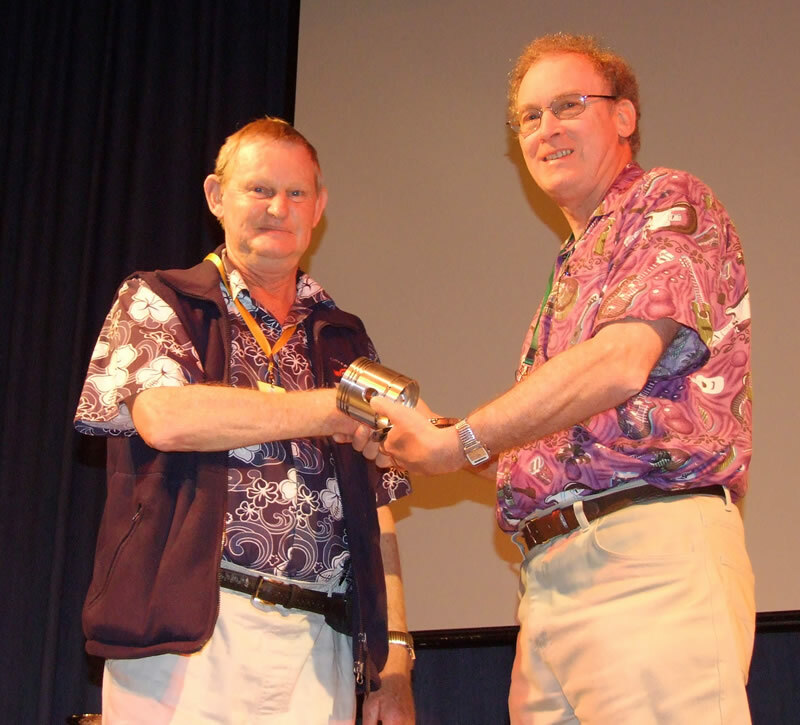 It was a very successful trip and Pete was rewarded with the Encouragement Award. Pete had many fine traits, determination being one, the trip to his last concours at Toowoomba was an epic one, the round trip being over 4000 kilometres. With trailer on tow he set a cracking pace and held his own when it came to mixing it with the big rigs. We all admired him for his courage, his cheerful and uncomplaining nature. He endeared himself to all with his quirky sense of humour and his gifts to the partners of those little furry Tasmanian Devils. We are but a few of the many who have been privileged to have known Pete Cousins. We will all miss him. Our thoughts are with Mary and her family in their loss. 2007 - here he is in the "Orangemobile" at Griffith.